Trinidad Police claim to have "foiled" Carnival threat. According to media reports the Police Service in Trinidad and Tobago claimed it had disrupted a threat to disrupt Carnival activities mere days before the festival. The Trinidad and Tobago Carnival is an annual event held on the Monday and Tuesday before Ash Wednesday in Trinidad and Tobago (February 12th and 13th 2018). The event is well known for participants’ colorful costumes and exuberant celebrations. Reports are that four persons of interest were detained. Raids and searches were conducted in several private residences and masjids (Muslim place of worship). 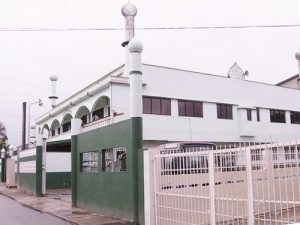 Reports are that searches were done at the Nur-e-Islam mosque in Aranguez, Munroe Road masjid and other jamaats in Sangre Grande, Bamboo, Valsayn and Laventille. Initial reports are nothing was found either at the private residences or the places of worship. According to the Trinidad Guardian, TTPS Public Information Officer Acting ASP Michael Jackman confirmed the detained people were being interviewed . Jackman, however, refused to comment on what the threats were and whether they were terrorist related. 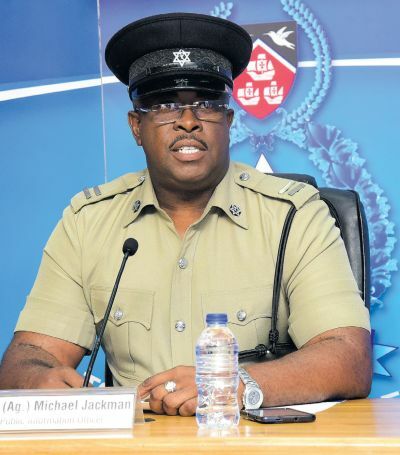 “The information received is going through intelligence gathering, the TTPS revealed it was a plan to disrupt the Carnival actives, intelligence agencies were active and vigilant and the discovery was made,” he said, confirming only that the individuals involved planned to engage in criminal conduct to disrupt the actives surrounding Carnival. A Trinidadian who was detained in Saudi Arabia in August 2015 on grounds that he had links to terrorist organisations, was detained by police yesterday in a raid on his Mohammedville home, but relatives are accusing the police of using brute force which they say was unnecessary. Mohammedville is an enclave in which the family and relatives of the late Kamaluddin Mohammed (God bless his soul) resides. Mr Mohammed is a founding member of the ruling Peoples National Movement (PNM) of which his niece Nafeesa Mohammed served as Deputy Political Leader. The man’s father told the T&T Guardian that around 3.30 am yesterday there was banging and loud noise on the downstairs door of his home, where one of his sons resides with his wife and children. He said the officers broke down the door, assaulted his son and started searching the house. The officers, he said, only produced a search warrant almost at the end of the search two hours later. The warrant was in the name of his other son, who lives upstairs with him, and was to allow them to search for arms and ammunition. The distraught father said the officers were heavily armed and had shields to protect themselves, “but they were dressed in different uniforms.” He said the officers tied the hands of family members and allowed dogs into the house during the search. He said they found nothing but still detained his son. The man’s father accused the police of using “excessive force. The T&T Guardian was told the officers had a “special raid” which targeted homes in Mohammedville, Farouk Avenue and other parts of El Socorro, San Juan. The exercise resulted in the man’s son and two other men from the area being detained. In addition to homes, officers also raided two mosques in the area, but nothing was reportedly found. Since 2016 over 1,000 Trinidadians have been murdered on its streets with a Police detection rate of around 10%. Crime is running rampant in Trinidadian society. However one hardly ever hears of such high profile raids on the nests of the gangs and criminals. Given that reports are that close to 400 Trinidadians have left its shores to join ISIL in Iraq and Syria and the fear being generated about returnees, the caution of the state on these security matters are somewhat understandable. 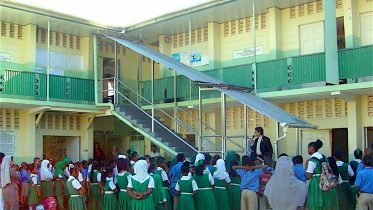 However, today, Muslims in Trinidad are feeling particularly stigmatized and targeted. This would be more so if in the end no evidence is found of criminal activity. The Nur-e-Islam Masjid, like all other Masjids promotes tolerance, peace and justice. We cooperate as much as possible with the authorities for the good of our country. In this regard, we acknowledge the professionalism displayed by the Police officers who conducted a search of the Masjid’s premises on Thursday 8th February at 4:00am. Our jamaah (congregation) adheres to the laws of the country and has nothing to hide. At the same time, we are concerned about the treatment and alleged abuse of members of our congregation at their private homes, resulting in serious injuries to at least one person. The police have made certain allegations and have detained, though not arrested some Muslim brothers. We await the evidence for their actions. As Muslims, we do not condone any of the immoral activities associated with Carnival, but it is not within Islamic principles to attempt to take matters into our own hands and attempt to disrupt Carnival by causing destruction, harm or injury to persons or places. If there was really such a plot, we totally condemn these plans. We hope that this is a misunderstanding with the Muslims involved and look forward to justice, honesty and integrity in this matter. The noble Prophet Muhammad (May the peace and blessings be upon him) said: Help your brother, be he oppressed or the oppressor. A man said, O Messenger of Allah, I will help him if he is being oppressed, how do we help him if he is the oppressor? He replied, Stop him from oppressing for that is helping him”. At this time, the Nur-e-Islam Masjid wishes for everyone peace, tranquillity, safety and harmony to all. Trinidad’s Newsday is reporting that US law-enforcement officers, including the Federal Bureau of Investigations (FBI), tipped off TT’s Special Branch and the Strategic Services Agency (SSA) in December last year on plans by a certain group of local Muslims to bomb the US Embassy in Port of Spain between Carnival Monday and Tuesday. This led to US law-enforcement officers working alongside the local team, using state-of-the-art surveillance equipment and wire-tapping to intercept, what has been described as, coded messages between people of interest who had been linked to Islamic State (ISIS). CNN reported that US military personnel from US Southern Command, which oversees US military operations in the region, advised and assisted local Trinidadian security forces in apprehending the four extremists who are believed to be part of a network engaged in plotting terror attacks. The US troops did not participate in any direct combat. Yesterday public relations officer of Muslims of TT, Imtiaz Mohammed, described the arrests of the men as an attempt to embarrass the community. He described, as a hoax, information that there were plans to disrupt the Carnival activities and also believes it is part of a plan by the US and TT government to get the population to support a bill to amend the Terrorist Act. With reports from the Trinidad Guardian posted here , Newsday here, CNN here. This is a developing story so check back for updates. Be the first to comment on "Trinidad Police claim to have “foiled” Carnival threat."